Its suit for hospital first-aid centers, gymnasiums and battle fields used to transfer the sick. 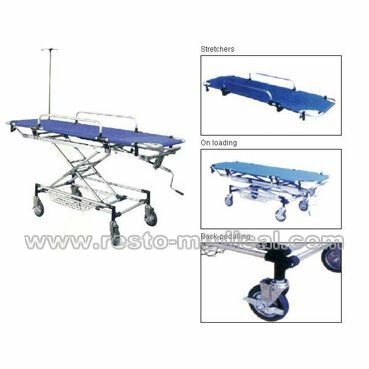 Itâ€™s not only making the sick Safety and comfortable, but also reducing the labor intronsity of the workers. with the adjusting of the height and angle, light rust-resistant and antiseptic qualities.